At least 50 soldiers were killed in a wave of attacks in Egypt near the Gaza border. Video of one attack appeared online. As many as 50 Egyptian soldiers have been killed in a wave of simultaneous attacks unleashed by Islamist militants, military officials say. Security sources say 15 died when a car bomb exploded at a military post in North Sinai, one of five targeted along with a police station. Witnesses report hearing blasts in Sheikh Zuweid and Rafah, with many residents fleeing their homes over fears of grenades. Al Jazeera reported as many as 70 people were involved in the attacks. Officials, speaking on condition of anonymity, say the militants also took soldiers captive and seized several armoured vehicles. A Sinai-based insurgency has killed hundreds of policemen and soldiers since the Egyptian army toppled Islamist president Mohamed Morsi after mass protests against his rule in 2013. 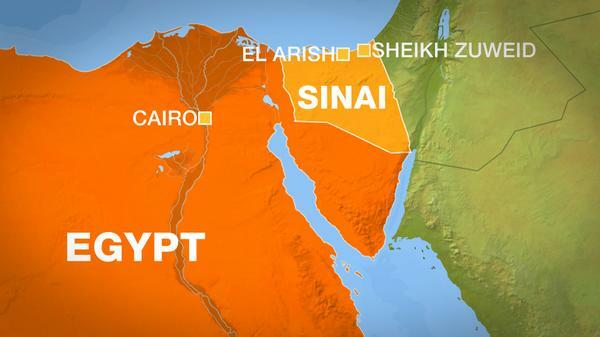 The most active militant group in the region is Sinai Province, which has pledged allegiance to Islamic State. Earlier this week, Egypt’s top public prosecutor was assassinated in a car bomb attack on his convoy in Cairo, raising questions about the country’s ability to contain the insurgency.